The new standard is our best chance to establish a new, modern framework for KM, so how can we improve the draft to make it work for everyone? Critical Eye is a semi-regular feature where RealKM analyses and discusses the methodology and science behind claims made in publications. 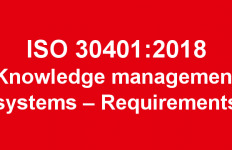 This article is also part of a series of articles on the new international knowledge management (KM) standard, ISO 30401 Knowledge management systems – Requirements. With the release of the public draft of ISO 30401, a spirited debate has sprung up. 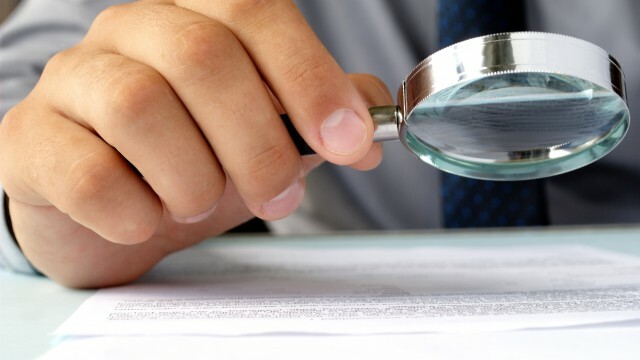 There are understandable concerns about the lack of peer consultation for a standard that purports to represent the best possible techniques for optimising knowledge in organisations. Recommendation 1. Clarify that ISO 30401 is a standard only for a knowledge management system, and does not represent the totality of the body of knowledge found in knowledge management as a discipline. The terms “knowledge management” and “knowledge management system” are sometimes used interchangeably at present to deleterious effect. the need for organisational robustness and/or resilience in response to situations of high VUCA (volatility, uncertainty, complexity and ambiguity). intangible assets — creation of recognised classes of knowledge product to resell (eg copyrighted works), especially relevant for consulting firms. knowledge entrepreneurship — funding 3M-style innovation with active research into new knowledge. Acknowledging the existence of the ISO 50501 may be sufficient for this component. Recommendation 4. Remove all references to Knowledge Management culture. This term makes it too easy for KM failures to be excused, and also preference certain types of KM program in ways that are unwarranted. Organisational culture must be managed as a whole and should not be separated into “KM cultural” and “other cultural” factors. Recommendation 5. Remove all references to knowledge work and knowledge workers. The terms are poorly defined and privilege certain types of work in ways which are frankly elitist. All work requires knowledge to be completed successfully. Recommendation 6. Make all SECI references non-normative. The SECI framework is not applicable to the majority of organisational environments and contains old KM thinking in many respects, including the dichotomy of tacit/explicit thinking. Currently the document avoids using the term ‘tacit’ specifically but it is strongly implied. Recommendation 7. Remove all references to “knowledge life cycle”. Knowledge does not have a fixed life cycle in the linear way which is implied by the term. Knowledge is intrinsic to the situated environments and organizational boundaries of one or more intelligent agents and their associated information systems. Knowledge is a dynamic response to the experiences of being in that environment. Instead, refer to “knowledge processing interventions” as a method of altering the ongoing knowledge dynamics of the system in question.NB: The concept of “knowledge processing interventions” as distinct from “knowledge management” is drawn from Firestone and McElroy’s 3 tier model of KM. 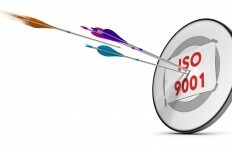 The scope of ISO 30401 should be largely analogous to the top tier of this model. It is open to the committee to consider whether more overt references to this theoretical framework should be incorporated. Recommendation 8. Include references to system inhibitors and enhancers, either as part of the KM enablers or elsewhere. Organisational attributes such as incentive structures and organisational trust are fundamental to successful knowledge transfer and application, but they are not knowledge objectives in and of themselves. Recommendation 9. Do not permit unmeasurable objectives. This has been a grave failing of past Knowledge Management programs, which made grand pronouncements without any kind of specifics to be held accountable for. Recommendation 10. The standard should promote strong links to impact in terms of safety, time, innovation, quality, cost and (customer) experience. Where diffuse organizational benefits are predicted, the value of objectives should be evaluated against alternatives using a methodology such as RROI (relative return on investment), and at a minimum against the option of doing nothing. Recommendation 11. Improve language around complexity and non-determinism in organizational systems. An important truism of complex adaptive systems is that strong links between cause and effect do not exist. Therefore, requirements for implemented KMS must ensure that both intended and unintended impacts are considered to provide useful guidance. Shortly before New Years Day, I invited peers to help construct feedback using Google Docs. With many thanks to David Griffiths, a fully marked up draft including these recommendations is now available for inspection. I will be submitting these comments to the ISO committee formally in the next week or so, but of course, I encourage others to engage here or directly on the ISO committee review site with your thoughts. I fully recognise that some of the language used reflects my and David Griffiths’ preferred KM terminology. There may be reasonable ways to express the same concepts in more neutral ways, and I would welcome that. It is also fair to acknowledge that David Griffiths still has significant concerns about the fundamentals of the process. Nonetheless, in my view these changes significantly improve the focus of the standard, and more importantly encourage ongoing innovation in Knowledge Management practices going forward. It is important to remember that this is only a public draft, and that gathering feedback is an essential part of the process. I have great respect for the people on the committee and am very hopeful that they will take all genuine criticisms and concerns on board. I encourage everyone in the community, to take the time to engage and provide feedback (comments close on January 16). This is our best chance to establish a new, modern framework for KM, and I intend to do everything I can to help make it work for everyone. Really interesting, have you heard any feedback yet? Interesting piece Stephen, needs wider dissemination. I am waiting to get my hands on a copy of the standard, and will be very interested to see whether your input has been accommodated or incorporated into what seemed to me to be a draft that had some deficiencies. Great contribution to the ISO KM, thanks a lot. I could be too late to recommend but hope for the next updates.. From my research perspective, I am very much interested in unifying the KM elements’ terminology for different cultures easy understanding and efficient adaptation of KMS requirements and standards. Many thanks for your comment, your research work sounds very valuable. Stephen Bounds will soon be publishing a further Critical Eye article looking at the final published ISO 30401 Km standard. You may also be interested in the RealKM Magazine Cultural awareness in KM series.